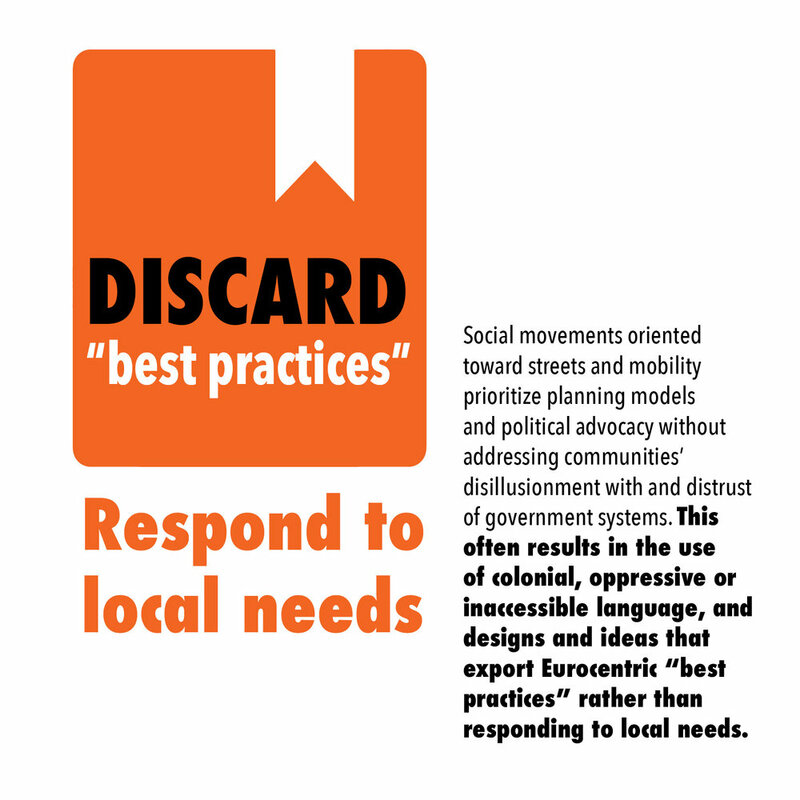 Justice-oriented advocates are generally denied the opportunity to bring their whole selves to a space and are more likely to be tokenized — forced to pick their battles, to speak within a constrained set of categories, to suffer outright dismissal for straying too far from those categories, and to serve as stand-ins for the entirety of the diverse communities they represent. 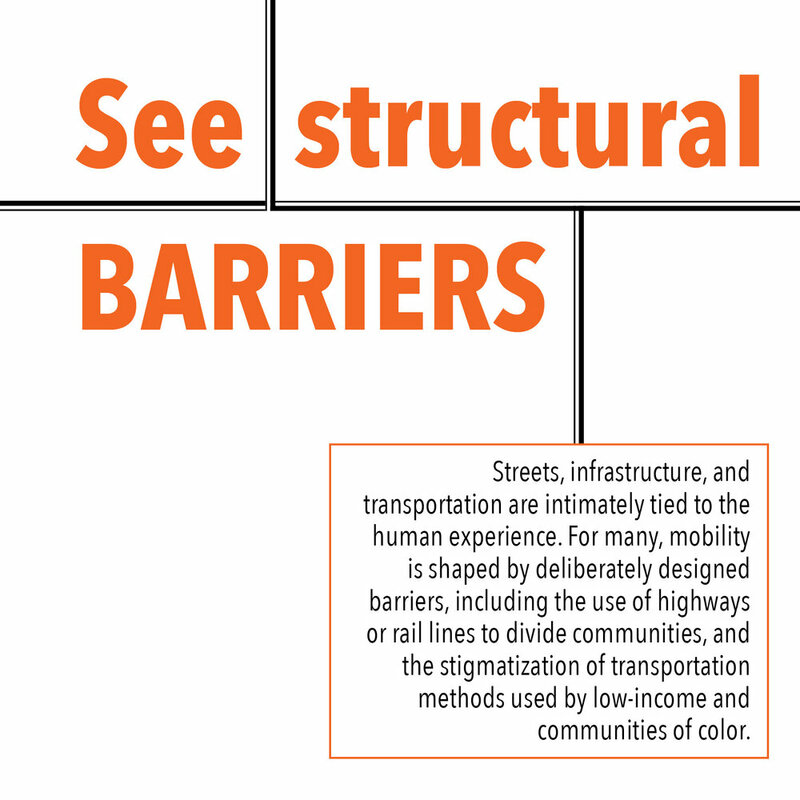 Problem: We challenge the current paradigm by illuminating the range of barriers to mobility access that have long plagued marginalized communities. 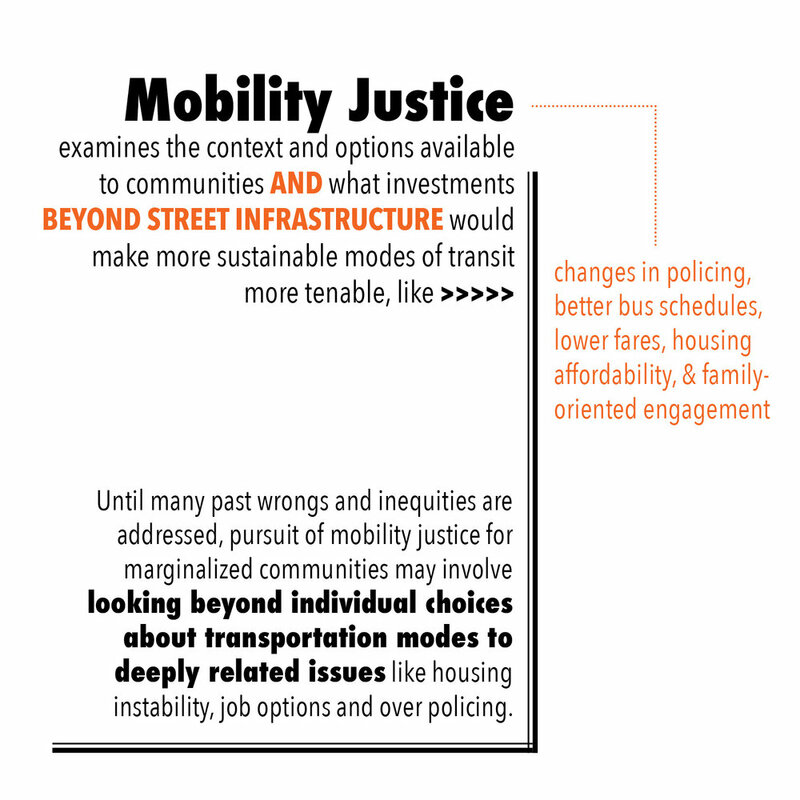 Principle: We offer a new vision that lays the foundation necessary to pursue mobility justice. 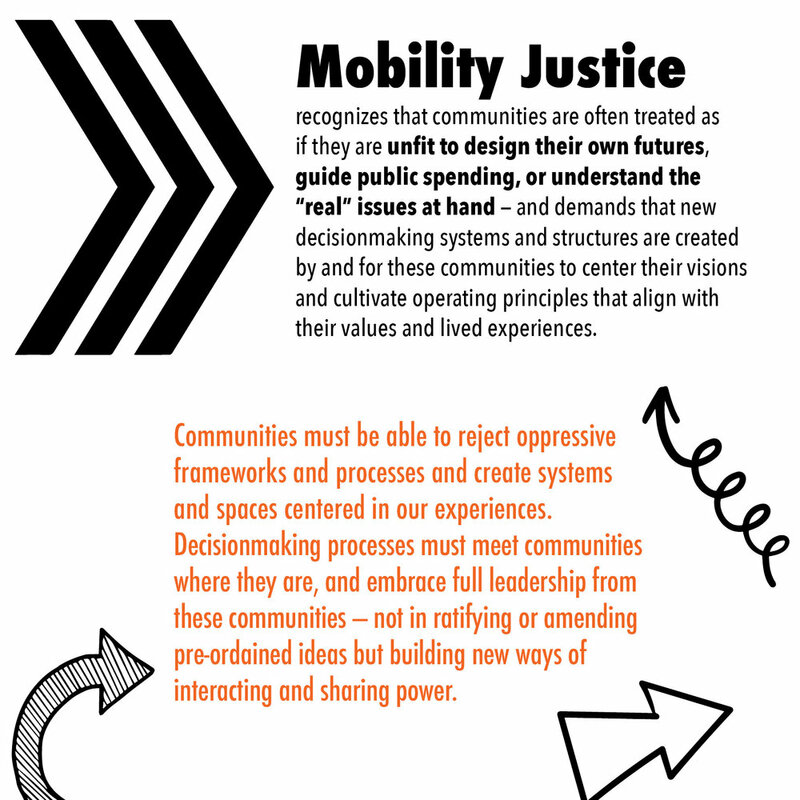 Practice: We suggest approaches that can help justice advocates work toward that alternative paradigm, either in white-centered planning spaces or in their own work in marginalized communities. 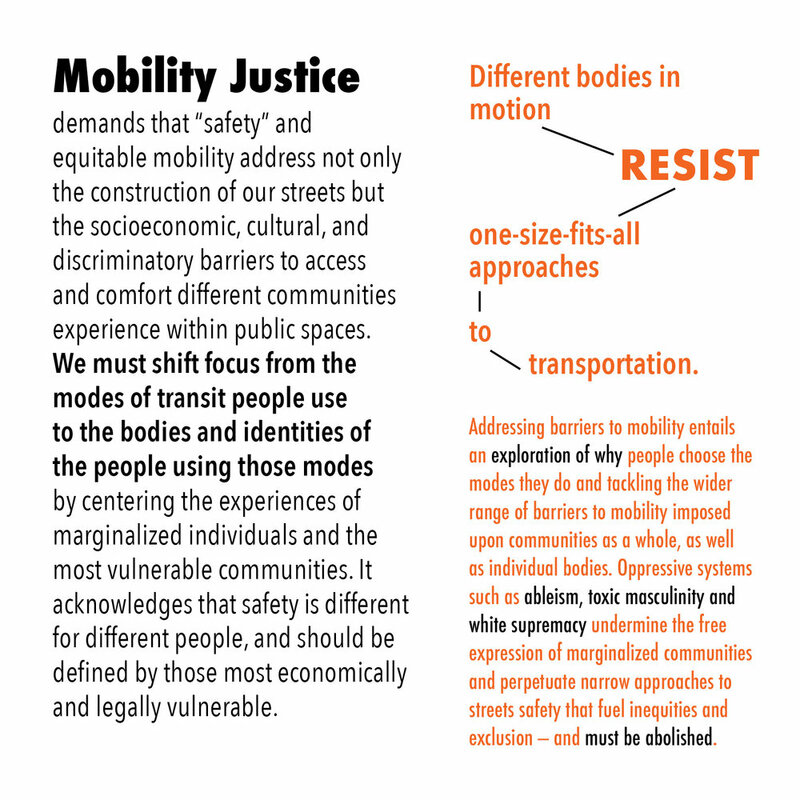 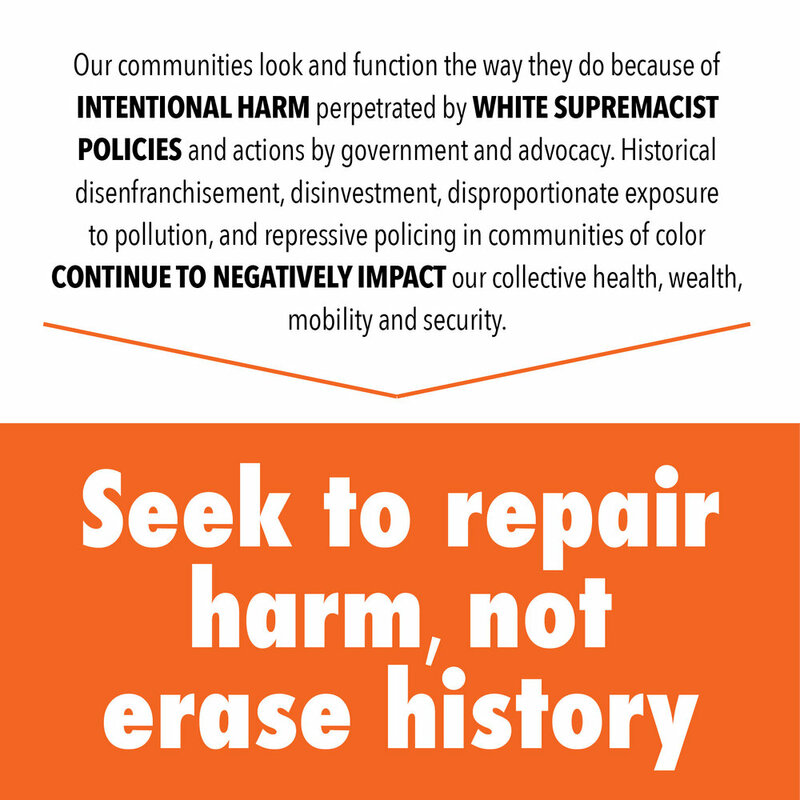 We affirm that the Principles of Mobility Justice comprise a living document that will change and evolve over time as our challenges and community priorities shift.